Based on Cy Wakeman’s Book! Today’s challenging business environment is calling for a new type of leader. We need those willing and able to recreate mindsets (their own and that of others) and change an organization’s culture in order to lead in a bold new way. The Reality Revolution begins with a few good leaders who are able to quickly see and radically accept the reality of the situation, conserve precious team energy, and use that energy instead to impact reality. 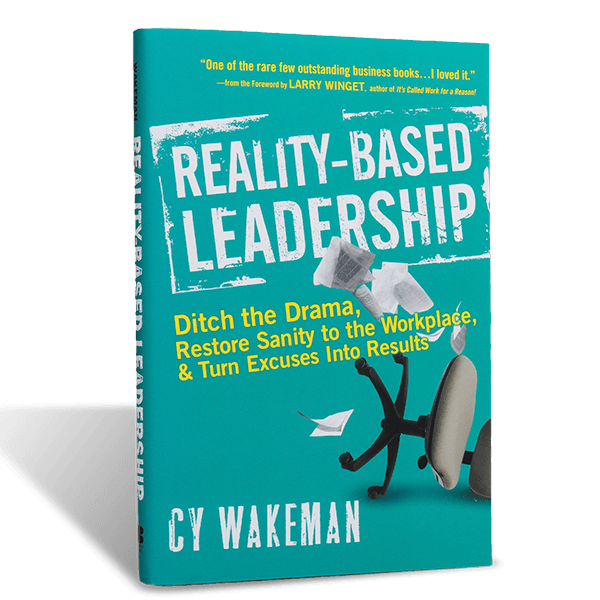 A great Reality-Based Leader anticipates the upcoming changes and capitalizes on the opportunity inherent in the situation without drama or defense. Follow the call to greatness... call (402) 763 - 8963 or fill out this form to bring one of our Reality-Based speakers to your event!